Saudi Arabia strictly forbids the practice of any religion other than Islam within its borders. Those who fail to comply could face arrest, torture or even death. Brian O'Connor, a Christian and a native of India, experienced that persecution first hand. O'Connor was charged with "spreading Christianity" in Saudi Arabia in 2004. The "muttawa"—Saudi religious police—originally arrested O'Connor on the false allegation of selling liquor and possessing pornographic videos. The muttawa have the authority to detain persons for violation of strict Islamic standards regarding proper dress and behavior. 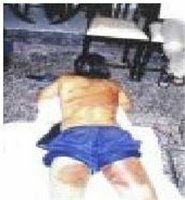 During his interrogation, he was brutally beaten, then sentenced to 10 months imprisonment and 300 lashes. While in prison he was pressured to convert to Islam. According to Compass Direct, after serving seven months in prison, he was deported to India. Saudi Arabia is considered one of the most religiously intolerant nations in the world, ranking No. 2 on Open Doors' 2006 World Watch List of countries where Christians face the most severe persecution. Last fall the U.S. Department of State re-designated Saudi Arabia—along with seven other countries—as "Countries of Particular Concern" for severe violations of religious freedom. Although the Saudi Arabian government claims to exercise "practical tolerance" toward the thousands of non-Muslims working in the country who worship privately in their homes—like O'Connor—even "house church" Christians are rounded up and tried without defense counsel. In 2005, in what was called Saudi Arabia's largest crackdown on Christians in a decade, 70 expatriate Christians were arrested during worship in private homes. Most of the arrested Christians were released over a period of time. Apostasy—conversion to a non-Muslim religion—is punishable by death. No missionaries are allowed into the country, and custom officials routinely open mail and shipments to search for contraband, including Christian materials. After his release, O'Connor said that through his witness 21 of his cellmates came to Christ. "I was there for a purpose," he stated. That imprisoned Christians will be released and there will be justice for members of all religious faiths. Freedom for Christians to worship openly. A Muslim woman named Lena Joy is faced with the aspect of torture within Saudai Arabia. Because she wants to marry a man who is Catholic, she has asked the government to allow her to convert to Christianity. The government has turned the matter to the religious court. The probable outcome will be a three year sentence to a rehabilitation facility that is surrounded by razor wire, that is ironically called The House Of Prayer. Many Christians in Muslim countries use two names. They have a given Muslim name and a Christian name. They must meet in secret meeting houses and worship in fear. May God watch over them and give them His protection.